Dr. Diringer has degrees in Psychology, Neuropsychopharmacology and Medicine. He completed a Neurology residency at the SUNY at Stony Brook and fellowship training in Neurosciences Critical Care at The Johns Hopkins Medical Institutions where he remained as a faculty member until 1992. 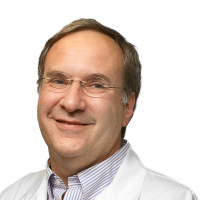 In 1992 Dr. Diringer moved to Washington University where he established a multidisciplinary team that provides comprehensive critical care services for neurology and neurosurgery patients which has become internationally recognized for excellence. The major focus of Dr. Diringer’s NIH funded research has been on the physiological responses to therapeutic interventions applied to critically ill neuro patients. Using quantitative PET and advanced MRI techniques his group has made fundamental observations that set the stage for changes in clinical practice with regard to blood pressure management in intracerebral hemorrhage, hyperventilation in traumatic brain injury, the brain’s response to osmotic therapy and medical management of delayed cerebral ischemia following subarachnoid hemorrhage. Dr. Diringer has been internationally recognized as a leader in the field of Neurological Critical Care for years. He co-edited several Neurocritical Care texts, has chaired numerous international workshops and consensus conferences and has lectured in Germany, the UK, Austria, China, Italy, Canada, India, Brazil, Honduras and the Philippines. Dr. Diringer served as the second President of the Neurocritical Care Society and in 2018 assumed the role of Editor-in-Chief for the journal Neurocritical Care.